Men’s volleyball is one of UChicago’s fastest-growing club sports. In 2012, the club only had seven players on hand at the National Collegiate Club Volleyball Championships, the minimum needed to field a team. Now, it has 30 to 40 players come out to every practice, team president Thomas Schankler said. While that mentality worked well at times—that seven-man team finished tied for fifth at Nationals, its best performance ever—it put the club in danger of folding, so it opened its doors. This season, with a roster full of newcomers and some untimely injuries, Nationals (April 3–5 in Reno) didn’t go quite as well—Schankler would only say they did “very poorly”—but he is optimistic about the future of the club. 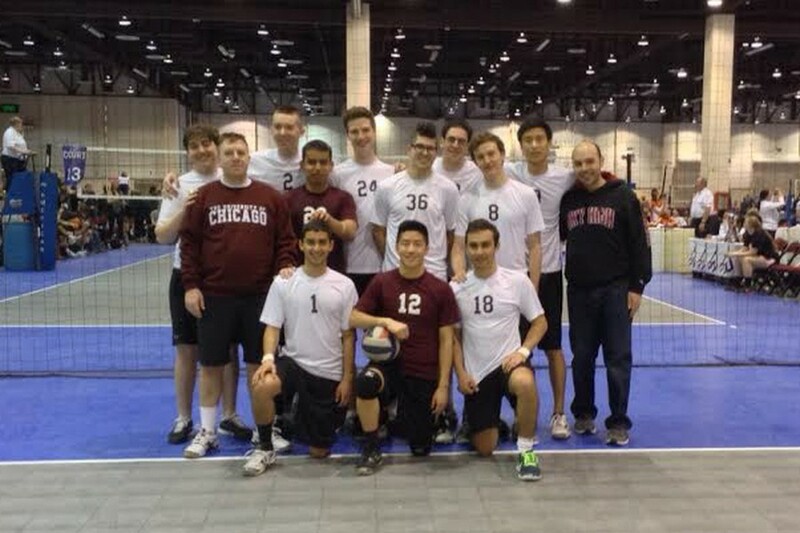 The men’s volleyball club at UChicago has been around since at least 1994. The club was initially composed mostly of graduate students who had competed in varsity or club volleyball as undergraduates, but now most of the regular players are first- and second-years, many of whom had only played volleyball in high school P.E. and came out on a lark. Volleyball is one of the few American sports more popular among women than men. Only 50 of the 351 Division I colleges field varsity men’s volleyball teams; under Title IX, college athletics programs are required to fund the same number of men’s and women’s teams, and men’s volleyball often gets the axe for football, Schankler said. In the Midwest, the West Coast, and Europe, though, men’s volleyball is wildly popular. Volleyball’s not just about athleticism, though; communication between teammates is paramount. With Nationals three weeks in its rearview mirror, the club’s season is mostly over; it spends fall and winter practicing and participating in Midwest tournaments to prepare. Schankler said the rest of the year will serve to give new players time on the court and help more experienced players keep their skills up.